Maybe evolution is due to an ongoing search that we are condemned to do. We are lost and seek, we seek to find something but do not know exactly why. And in this path where we travel from birth until we die, there is always someone with us, sometimes imperseptible accompanying us. After a training in Spain in Varium (Barcelona) and Cobosmika Seed (Palamós) in contemporary dance, added to his skills in hip hop, Diego Sinniger is developing its art combining both influences. He’s perfected his technique training in New York and Brussels as well. Among others, he’s worked with artists and companies as Cobosmika, Roser López, Ziomara Hormaetxe as a direction assistant and Lali Ayguadé. Since 2016, he’s started created his own work with pieces as LIOV and DIS·CONNECT. Diego keeps investigating movement through martial arts, circus practice, photography and trekking. Born in the Philippines in 1988, Nicolas grew up in France, where he first trained and worked with the Compagnie Lyon Ballet. He then trained in contemporary dance in Barcelona and started working with Pepe Hevia Danza in 2009 as a first dancer and director’s assistant. Pepe Hevia and Nicolas were awarded for their duet Detrás del Cristal in Certamen Coreográfico de Burgos-Nueva York. 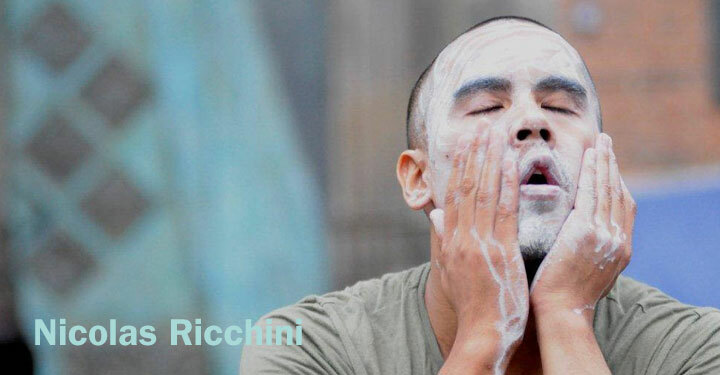 Since 2010, he has been developing his own creative project, Nicolas Ricchini Company, based in Barcelona and has been invited as a guest teacher and choreographers in many countries and young companies. In 2011 he began working as a freelancer and has collaborated with different choreographers such as Fernando Madagan (Netherlands Dance Theatre) and Tupac Martir in London, Emma Martin Dance, Akram Khan Company for the 2012 London Olympic Games opening ceremony, La Taimada, CLOD Ensemble & Lali Ayguade Company among others. Nicolas was also an actor in the multi-awarded and Oscar nominated short movie TIMECODE by Juanjo Giménez. Since 2014, he’s founded at Dansart BCN, together with Julie Berroneau, to impulse dance education in Barcelona. He is currently touring with CHOTTO DESH with Akram Khan Company since 2015. Musician, Sound Creator and Composer. 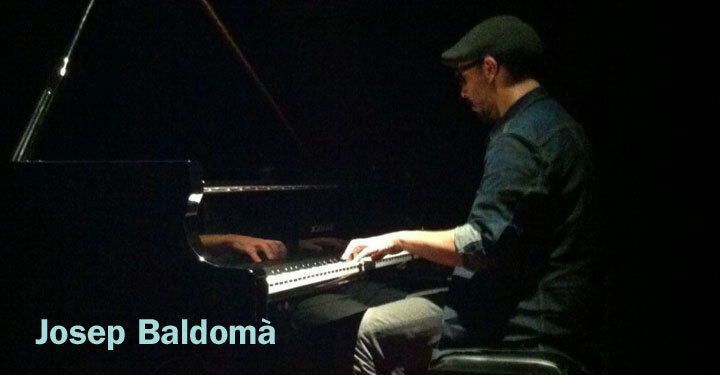 JM Baldomà plays piano since he was 4 years old. When he arrived to Barcelona, he soon started to play keyboards in many bands from alternative pop rock scene -recording albums and touring- and at the same time, he studied Audiovisual Communication at UAB and modern harmony, music production and piano at Aula del Liceu and Taller de Musics. He also has been writing, recording and producing original music for dance, stage theater performances, short animation movies and important festivals. He eventually plays grand piano for silent movies at Filmoteca de Catalunya, and does funny dj sessions for kids as DJ Gugugaga-Baboo Experience. In 2017, he released a debut album with his electronic-organic music duo Connectome, and played at Sonar Festival.